Auto Pairing Feature For Easy Connection To Any Bluetooth-Enabled Device. A Suction Cup Can Be Attached To Wall Or Any Flat Surface. Great Sound And Improved Volume Control For Premium Music Experience.Auto Pairing Allows For Easy Connection To Your Bluetooth-Enabled Device: Apple Products, Tablets, Laptops, Smart Phones, Mp3, Mp4, Etc. Water-Resistant Rated Ipx4 That Means It Works Well With Daily Water Splash, But No Immersing. Easy Access To Control: Hand-Free Talking / On / Off / Play / Pause / Next (Volume Up)/ Backward (Volume Down) / Power Buttons. 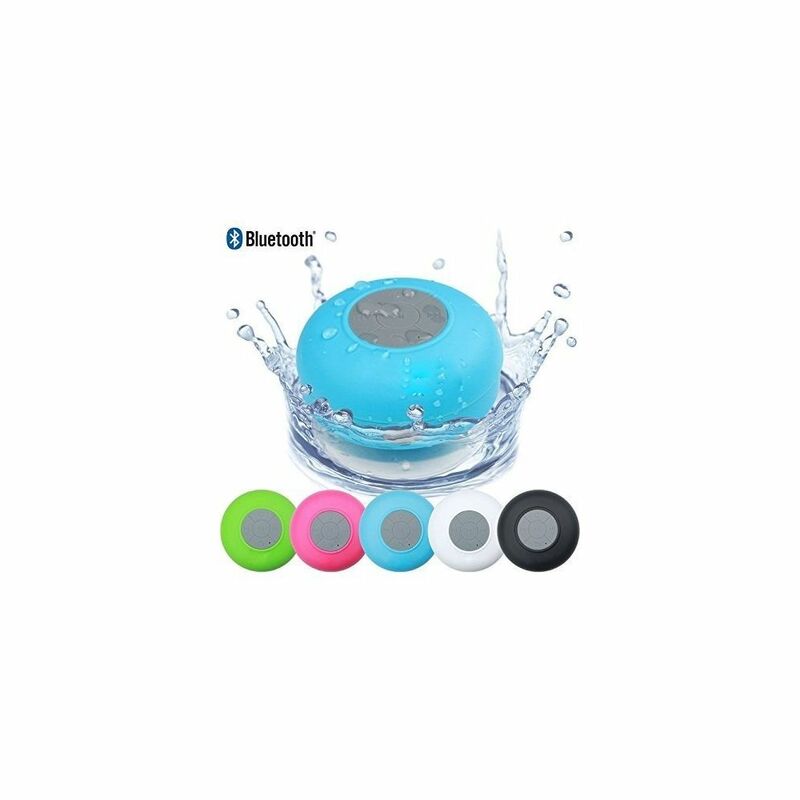 Wireless And Portable Speakerphone With Built-In Microphone And Suction Cup For Shower, Car, Bathroom, Pool, Boat, Beach, Both Outdoor And Indoor Use.